We’re now down to our third guide for Championship Manager 17, after having discussed the fundamentals of the game, as well as the things you can do to properly manage your tactics and training. So what’s next, now that you’ve learned all of these important things? We’ll get to that soon enough, but first, here’s a quick backgrounder for those who are just joining us now. 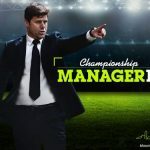 Championship Manager 17 is the latest Champ Man game from Square Enix for Android and iOS devices, and it allows you to take control of an association football club – a real-life one, might we add – and guide it to more wins and more championships, doing that as you try to impress the board of directors beyond wins and losses. You can improve your team in a variety of ways, and two of those ways include hiring the right staff and working the transfer market. That, in case you’re wondering, is what we will be discussing next. 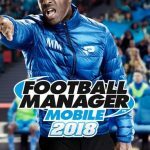 If you want some advice on how to properly hire staff for your team, and if you need help in properly operating in the transfer market, this Championship Manager 17 strategy guide is for you. It’s the last in a series of three, so read on as we tackle these two topics and more. Tap on the Upgrades tab, then on Staff so you can hire new staff members for your club. Staff positions include Attack Coach, Defence Coach, Goalkeeping Coach, and Midfield Coach, which obviously address the individual areas of your club’s lineup, and also include Fitness Coach, Sprint Coach, and Strength Coach, which address your players’ physical attributes. Hire one of these coaches if you notice you’ve got a weakness in terms of position, or if you’ve got weaknesses in the physical department. There are many more staff positions, which we will be discussing in the next two tips. You can choose the length of time each staff member will work for you, and filter available staff members by quality. That could lead to a bit of a conundrum, as you may have to decide on hiring a short-term staffer for less money, or spending lots of money for a long-term staffer. The former is advisable if you’re a new manager, while you’ll want to go with the latter once you’ve established yourself a bit. 2. Why Is The Marketing Advisor Important? Aside from coaches, you can also hire a Marketing Advisor, and it’s his job to improve the reputation of your club, and to make your club more appealing to the top players. He can also help convince new players to join your team for less money per week. If you’re having difficulty hiring players via the transfer market despite all your best efforts, or if would-be transfers ask too much to join, it might be a good idea to hire a new Marketing Advisor. These staffers can improve reputation by a maximum 121 percent, which should, in most cases, be just what you need to convince players to sign with you, and sign for less. Running a football club is more than just having a strong team on the pitch, and more than making sure your team is enticing to potential newcomers. You also need a good Chief Scout, who could show you a list of players who are available and could help make your team better. They may point you out to someone who may be flying under the radar, but is nonetheless capable of strengthening your squad. Then you’ve got Commercial Advisors, who help in revenue generation; they’ll be helpful if you’ve got cash flow problems and need to improve your facilities or add new players or staff members. Lastly, your Psychologist is there to improve team morale, though you may only need one if you’re a manager who’s not a fan of rotating the lineup. You want to use the advanced filters so you can find the right players to join your team. Sure, it does help if you’re familiar with multiple football leagues in multiple countries, but if you know how each stat makes a player better or worse than another, even just the basic stats, that should be enough. You’ll need all of this if you want to choose a potential superstar, rather than a mediocre scrub. Statistics are important when reviewing the list of available players. But you should also look at the overall rating, and you may want to prioritize players who can play multiple positions or multiple sides. Age shouldn’t be much of a factor if you’re looking for established veterans (unless they’re at an age where athletes usually go over the hill), but if you’re building for the future, you should prioritize youth. Lastly, you should be looking at a player’s current form, which tells you whether they’re on a hot streak, or whether they’re going through a rough patch. Champ Man cash (the green currency) is your premium currency, and you can use this to improve your facilities. Do NOT ignore your club’s facilities, as that would often be something your board would want you to look at. Improving your facilities may cost you some currency, but you’ll nonetheless be getting a lot of it in return, thus helping you grow your reputation as you stay in the good graces of the board. As for miscellaneous stuff you can buy with your common currency (the gold coins), you can buy coaching drills. These provide limited-time boosts to your players in the area in question, with the boosts lasting for a specific number of matches. 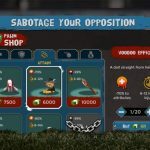 You’ll want to buy those drills before cup finals, or if you’ve got an important match against a tough team – they can be the difference between victory and defeat, so don’t overlook them.